During this early childhood education activity preschool children explore the 4 major tastes that the tongue can sense; bitter, sweet, sour and salty. Lemon wedges and lemonade, candy, potato chips and unsweetened cocoa, a pitcher and cups (form lemonade), small paper plates, small spoons, unbreakable hand-held mirrors. Teachers should know that taste buds are grouped on the front, sides and back of the tongue. And, that they are also in other parts of the mouth. Prepare in advance plates with samples of the foods for each child. While talking with young children about the different foods they like encourage them to use words like sweet, sour, salty and bitter to describe the foods. Tell them that they can taste the small samples of foods that are on their plates by putting a little on their tongues. Explain that they have "taste buds" on their tongues which help them taste and provide a few unbreakable, hand held mirrors so they can look at their tongues. Older children can be asked to predict how the items will taste. For very young children use only two tastes and compare. When preschool children frown etc. as they taste ask, "Why are you frowning? Is it sweet, sour, bitter or salty?" children eat the foods they like. Finally talk about the tastes they like the best and not the best. Provide the lemonade and while you are enjoying the refreshing drink ask what the lemonade reminds them of. Extension: Take note of the words and phrases children use to describe the different tastes and use them to create an experience chart reflecting the four major tastes. Mix one part water to two parts jello and mix and have children paint with fruity smelling water colors. Mix Kool-Aid with water (about two tablespoons). Then let the children paint with the mixture. After the paint drys you have great scratch and sniff pictures. Warning: Kool-Aid can stain clothes, tables, and floors. This preschool science activity encourages children to observe, compare and use language skill s as they describe scented items. In advance, put pinholes in the top of each film canister. Then put a scented item or scented cotton ball in each canister. Start your group talking about the sense of smell by asking everyone to close their eyes and spraying a little perfume into the air. When the children open their eyes ask them what they smell. Talk about how our noses help us smell things and introduce one canister. While each child is smelling the scent, talk about what it smells like. Encourage the use of descriptive words. Next, introduce the other film canisters, making certain each child has one. Allow time for children to talk about the smells and encourage older youngsters to exchange canister. Ask, "Can you guess what it is by the way it smells?" After children have opportunities to guess, open each canister. Show them how you poured the liquid onto cotton balls to create the "smelliest"
Finally, place the closed canisters in the science area for future smell investigations. 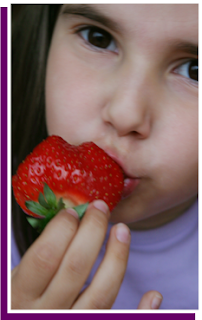 Encourage preschool children to use several senses in this early childhood activity. This activity is not recommended for children that are prone to eating the playdough. It smells really good and they might try to eat it, and the extract can make them sick. Make binoculars or telescopes out of toilet paper and paper towel rolls. Make glasses out of pipe cleaners. Purchase a roll of sod and lay it out in the sensory table. Add spray bottles with water so the children can "water the indoor lawn" and scissors to cut the grass. Animals and People are a great addition also. The children love to care for the grass, watch it grow, trim it and the feel is great. Obtain a nature sounds tape. Ask the children what makes the sounds. You may also find ones that have animal sounds on them. Cut into strips for tentacles. It's fun to use them in the sensory table with water. One of the best is straws of all different shapes and sizes. At first, the kids like to simply scoop and pour them. Then they start hiding things in them. Put farm animals and the tractors, etc. in with them. The children love it and it is easier to clean up than sand. A 40 pound bag at most local farm store is about $6. For a new spin on regular water table play try lining the bottom of your water table with aluminum foil! It adds a cool shimmer to the water and the kids love it! You can add rocks, beads (Christmas tree garland type) and other various items. Be creative! Have fun! Have a sticky week where the kids explore sticky things. For one of the activities you could cover the children’s shoes and arms with huge socks. Then go for a nature walk through the "woods" and come back. After removing the socks sort and classify everything they found on the socks. Put sand, water, salt, food color, shells, buckets, ocean animals in the table. Allow the children to explore the color, texture of the water and dig for shells and fish. Description: During circle time, teachers give one child a whistle and have them go and hide. When the child is hidden, instruct the child to start blowing the whistle. The other children are then to follow the sound of the whistle to find the child. The child who finds the hidden child is next to get to hide.